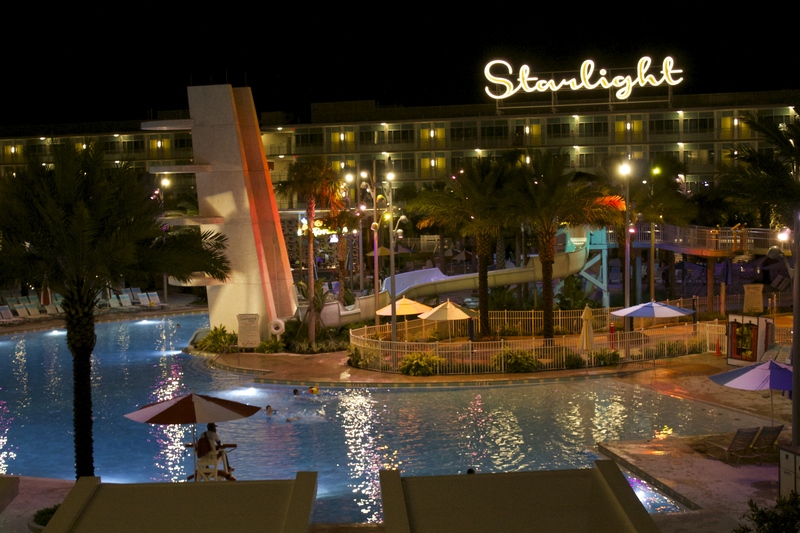 When it comes to vacationing in Orlando, there is certainly no shortage of places to stay. In fact if you typed in “places to stay in Orlando” in the Google search bar, there would probably be thousands of results immediately show up. Finding a place to stay isn’t the hard part. However, knowing which hotel is the best option can be where you need help. That’s where I come in. Orlando is one of my favorite places to visit and each time it’s always nice to try someplace new. 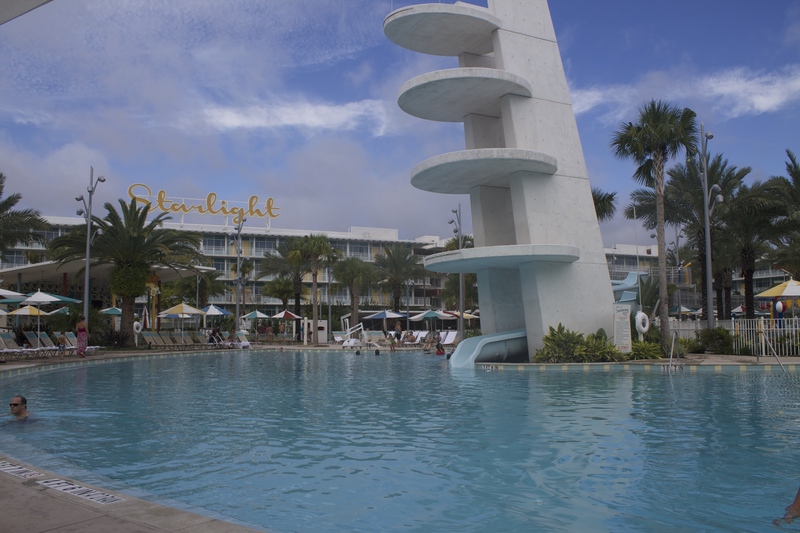 One of my favorite places to stay and one that I highly recommend is the Cabana Bay Beach Resort at Universal Orlando. 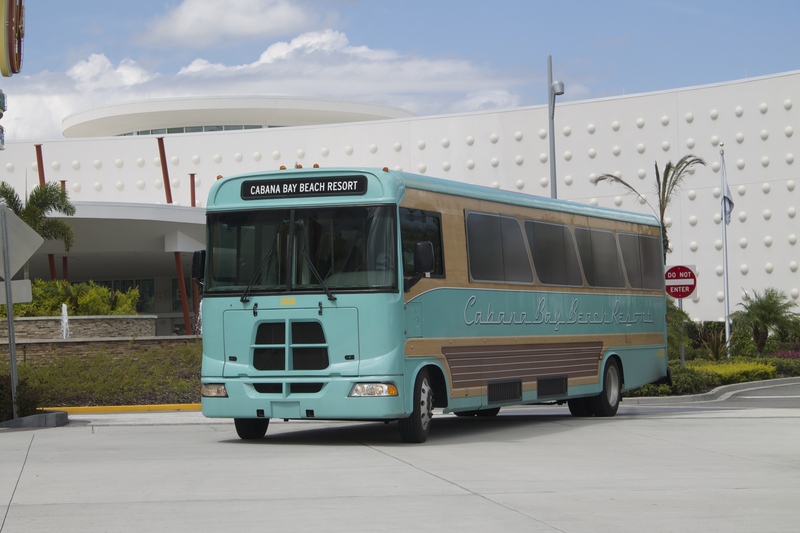 So why should you choose Cabana Bay? 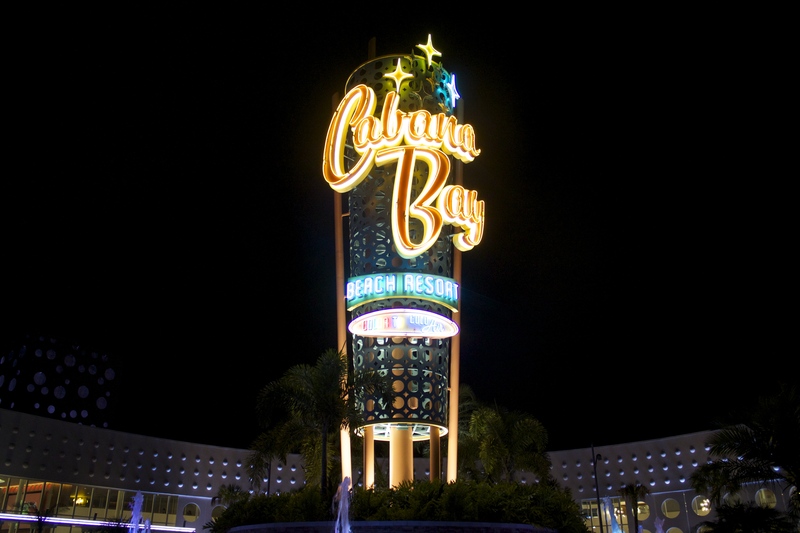 The Cabana Bay Beach Resort is a themed resort that is truly one of a kind. 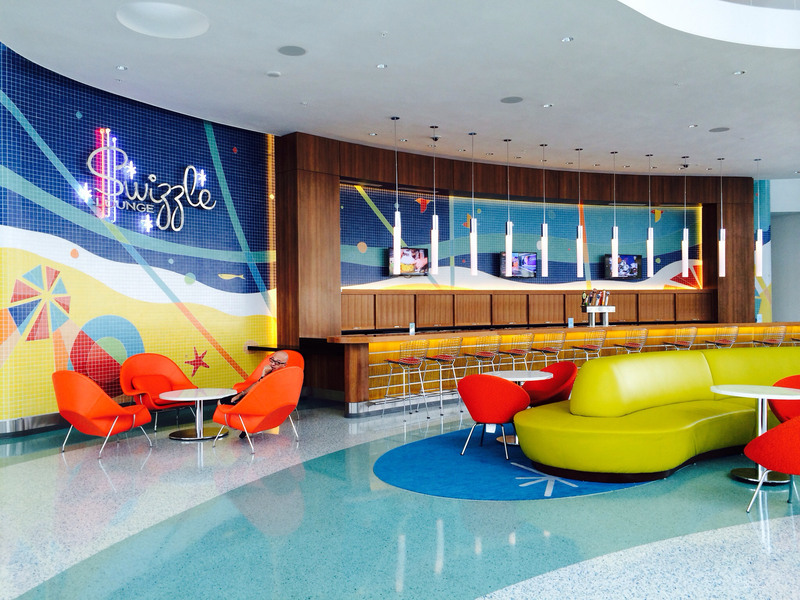 Here at Cabana Bay, you will be transported back into the 1950’s and 1960’s. Travel back to the time of hula hoops, family road trips and even those wood-paneled station wagons. Even though you will think your back in the era of the iconic beach resorts you won’t miss out on the modern conveniences of today. The hotel has all the amenities you could want in a moderate hotel. 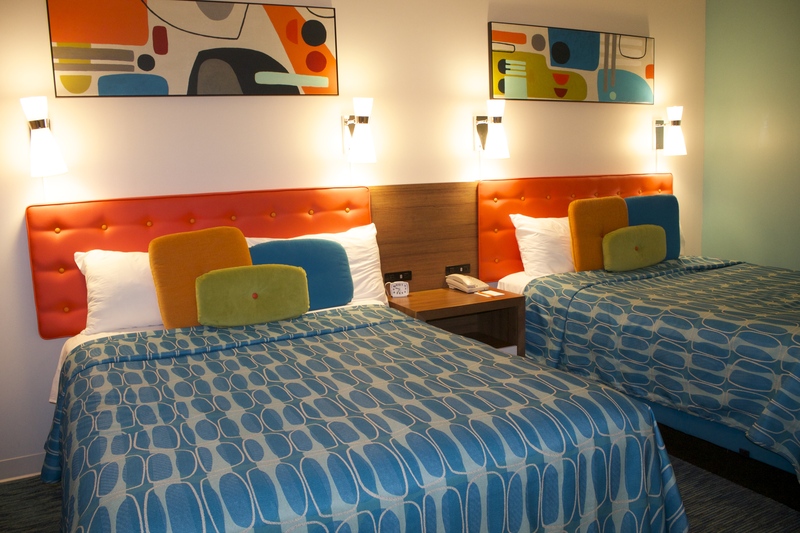 The Cabana Bay Resort is a luxury hotel with a value price. It’s an affordable option for families who are wanting to stay on the Universal property. 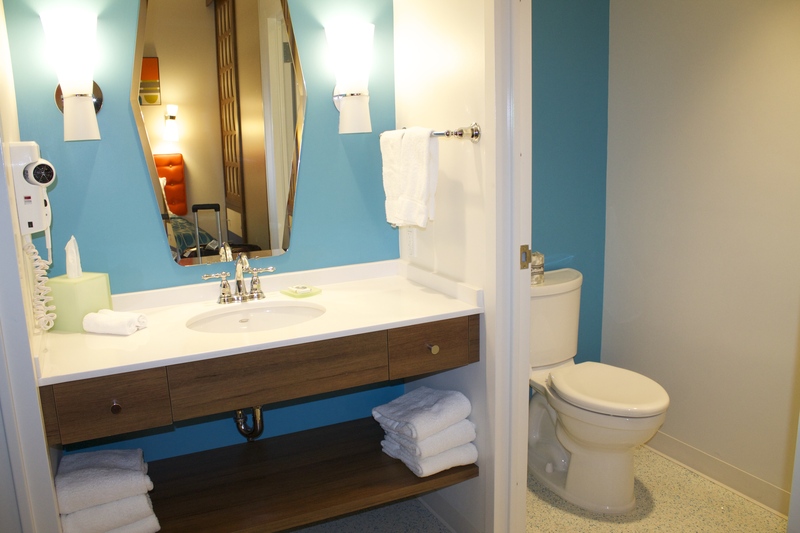 The Cabana Bay Beach Resort has two types of room options. The first is a standard room which sleeps up to 4 with two queen beds. The second is the family suite which sleeps up to six people. 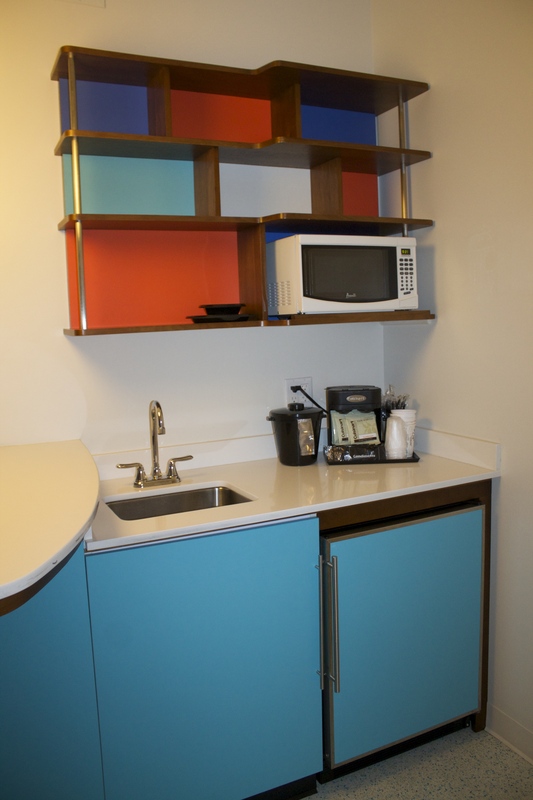 It includes a kitchenette, pull-out sofa and an extra large bathroom. There will also be a few special surprises waiting for you in the bathroom that will take you WAY back. 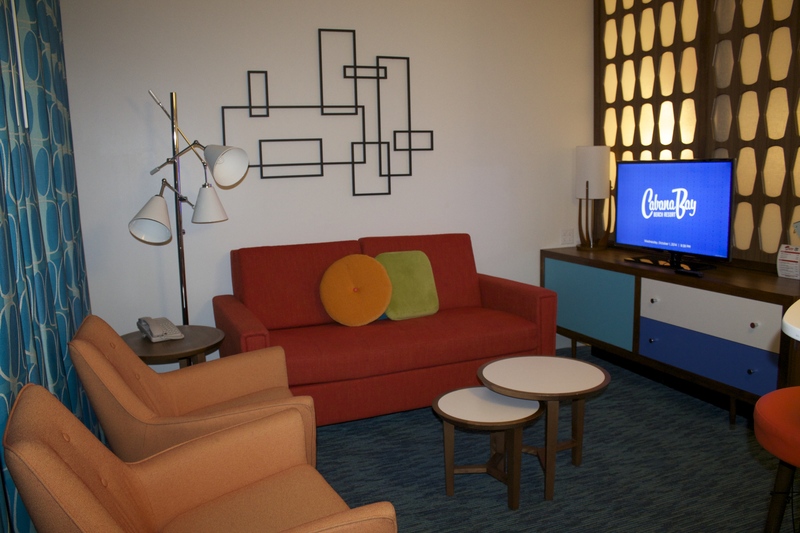 As a guest of Cabana Bay Beach Resort you will enjoy the beautiful hotel and amenities on the property. You will also be able to take advantage of exclusive Universal Theme Park Benefits. These benefits include, early park admission to the Wizarding World of Harry Potter a whole hour before regular admission guests. This means you will be able to enjoy one of the busiest parts of Universal before it get’s crowded. In addition to early admission, you will receive complimentary shuttle and walking paths to and from the parks and City Walk. 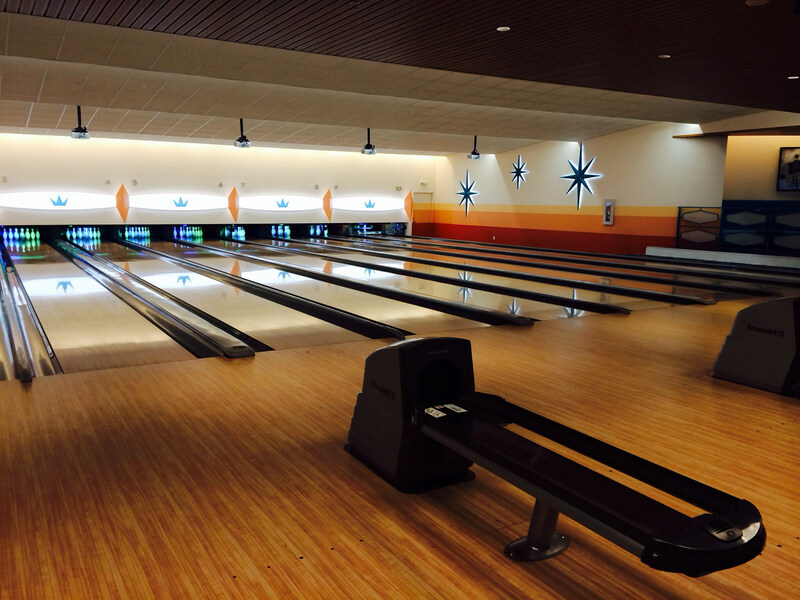 At Cabana Bay, they have their very own 10 lane bowling alley that is out of this world. 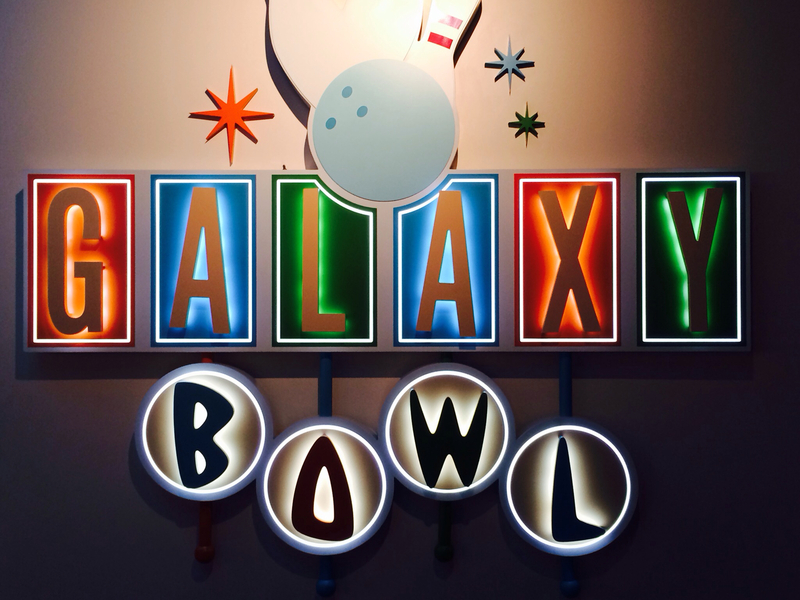 Galaxy Bowl follows along with the retro theme of the hotel. This is a place where you and your family can let loose and have some fun. Inside the bowling alley you will also be able to order drinks and food from the restaurant and enjoy your treats as you bowl. 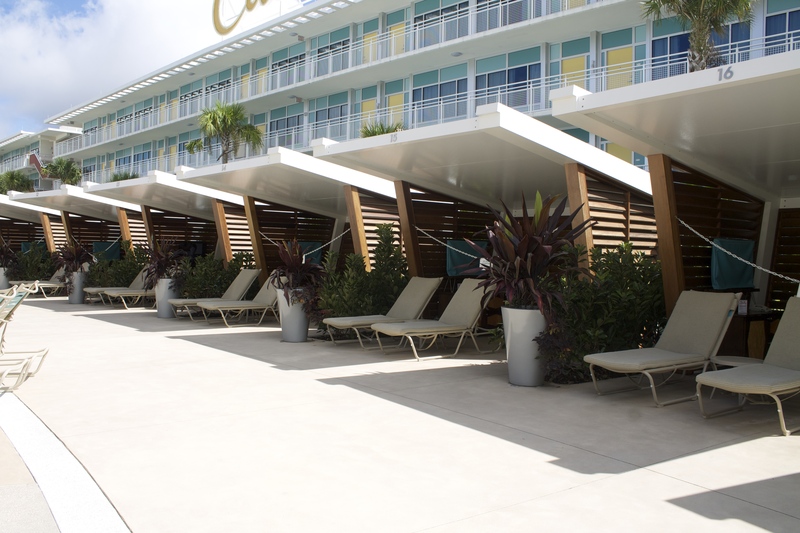 If you want to relax, soak up the sun and get wet, then Cabana Bay is perfect for you! They have a massive swimming pool with waterside and an interactive swim area for the kids in the Cabana Courtyard. Over in the Lazy River Courtyard, you will find a huge sparkling pool with a sand beach, plus my favorite, a lazy river that features waterfalls and cannons. You can also purchase tubes for the lazy river or bring your own. 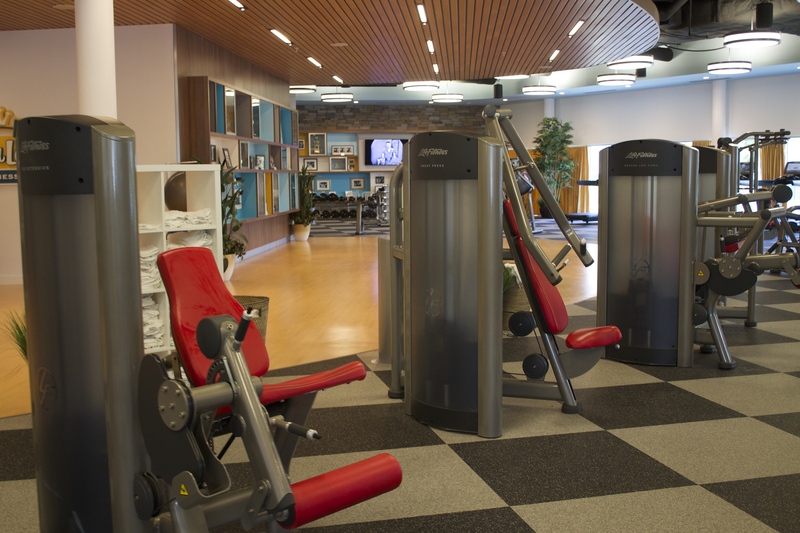 The fitness studio is perfect for those who want to hit the gym while staying on property. 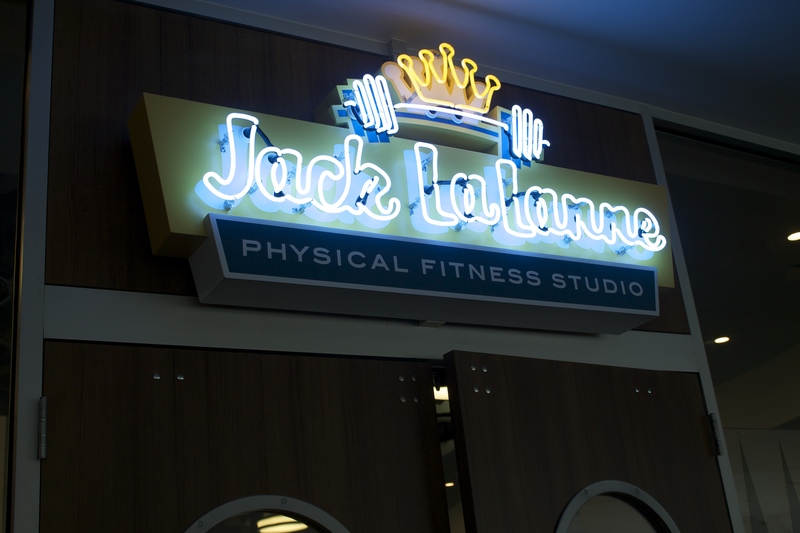 It has state of the art equipment and everything else you need to get your sweat on. You will find cardio equipment, weights, medicine balls and more. There is even a locker room with showers. My husband is really big into working out and loved the gym. 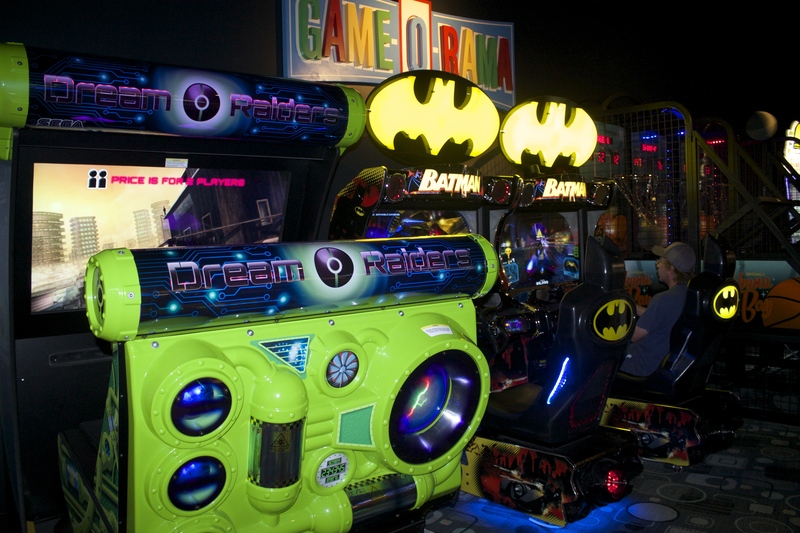 Whether your 8 or 88, chances are you will have a blast in the Game-O-Rama arcade at Cabana Bay. They have all of the latest and greatest video games and more. My husband and I stopped in without the kids, just to take a few pictures and ended up staying for close to an hour. All of the games are reasonably priced and there are also lot’s of prizes you can earn with tickets. 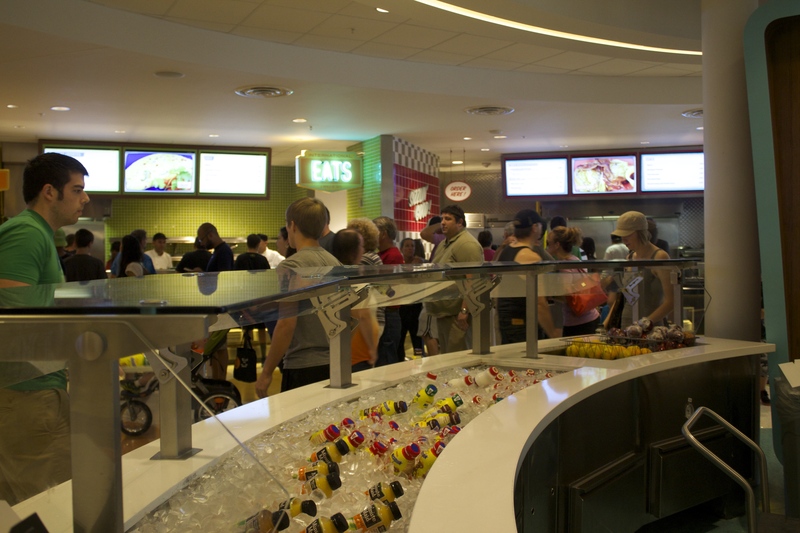 There are many different dining options at Cabana Bay. 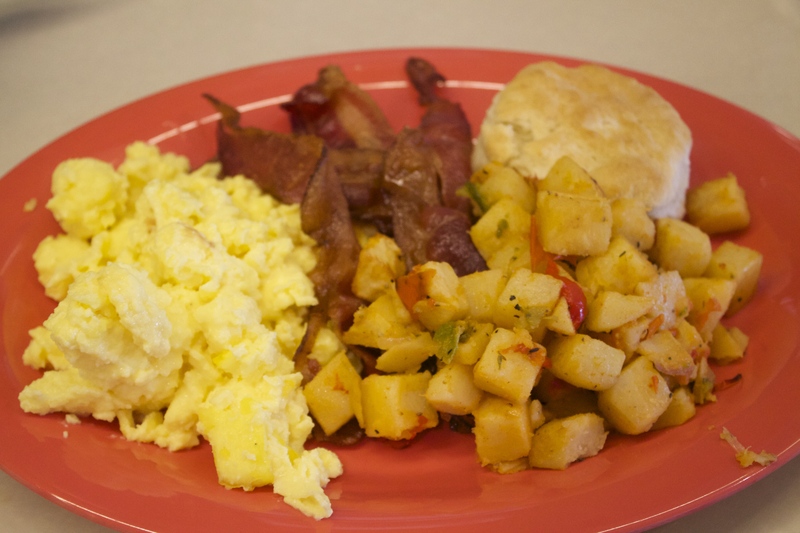 The Bayliner Diner is a great place to grab breakfast in the morning. They also have a menu for lunch and dinner. 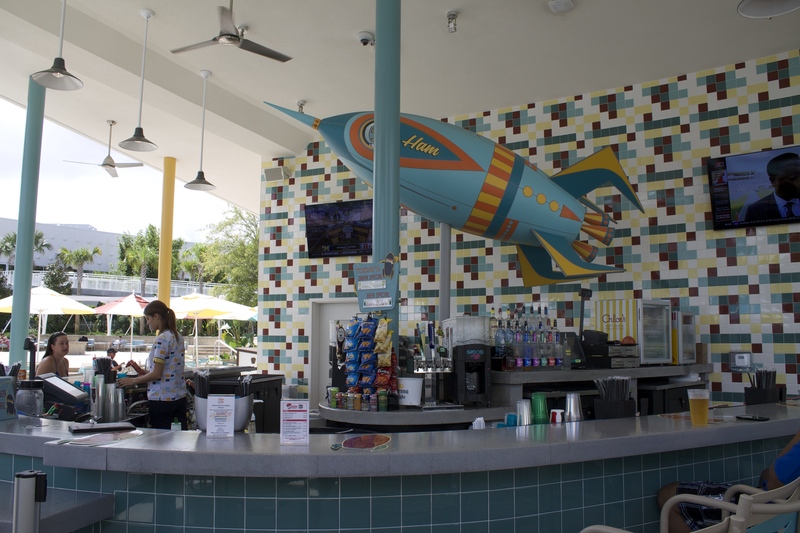 At the Hideaway Bar & Grill near the Lazy River courtyard, you can order food like buffalo wings and refreshments. There are also options for when you don’t want to leave the room. You can order pizza from Delicioso Pizza and have it delivered right to your door. 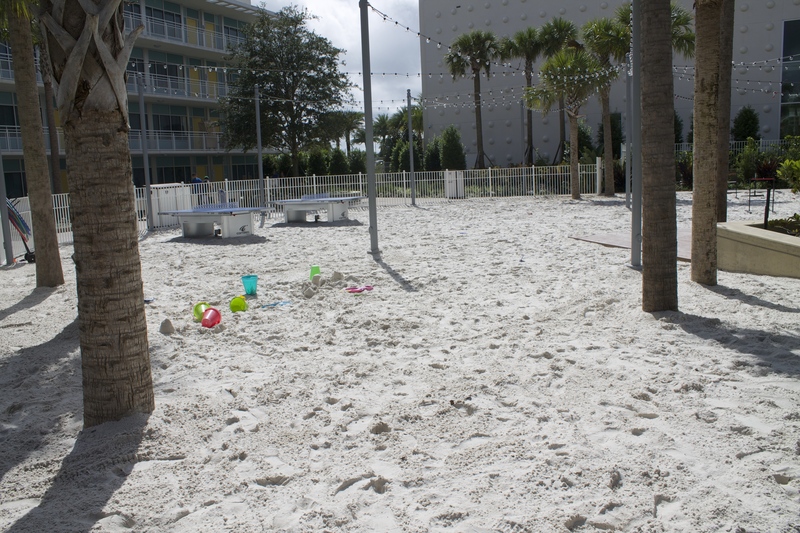 The recreational activities at the Cabana Bay Beach Resort are amazing. There is so much to do that you will find it hard trying to fit it all into your day. At night you and your family can enjoy movies in the courtyard. Then during the day you can play volley ball, pool, horseshoes and more! There are also several bar areas around the hotel so you can enjoy a cocktail or two. 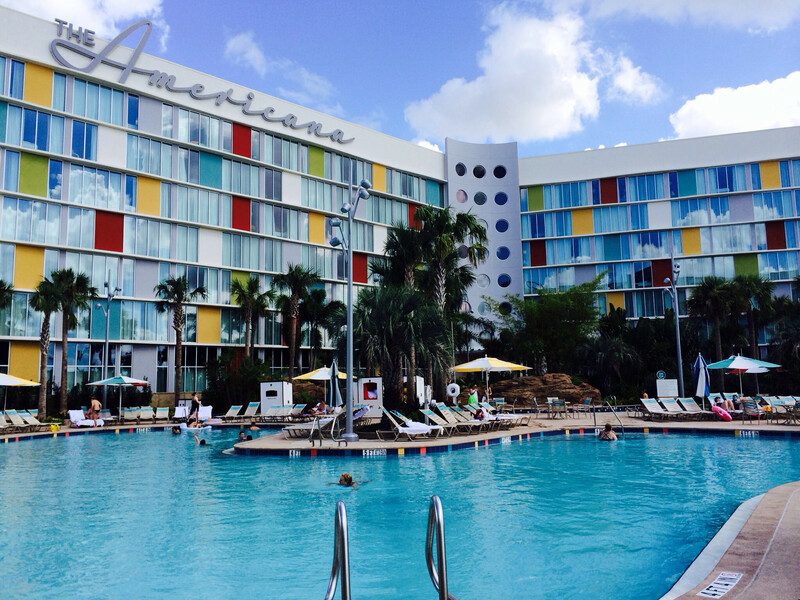 I could probably list another 99 reasons why you should visit Cabana Bay Beach Resort, it’s just that awesome. But don’t take my word for it, check it out for yourself the next time you are in Orlando. *My accommodations were provided by Universal Studios Resort as part of the facing fears together event. I love that everything is super modern, there are too many resorts stuck in the same rut nowadays. There sound like a zillion reasons why it is a perfect fit for my family. I hope we are able to stay there soon. That looks like a great resort! I wouldn’t even need to leave it with all they have right there for you! 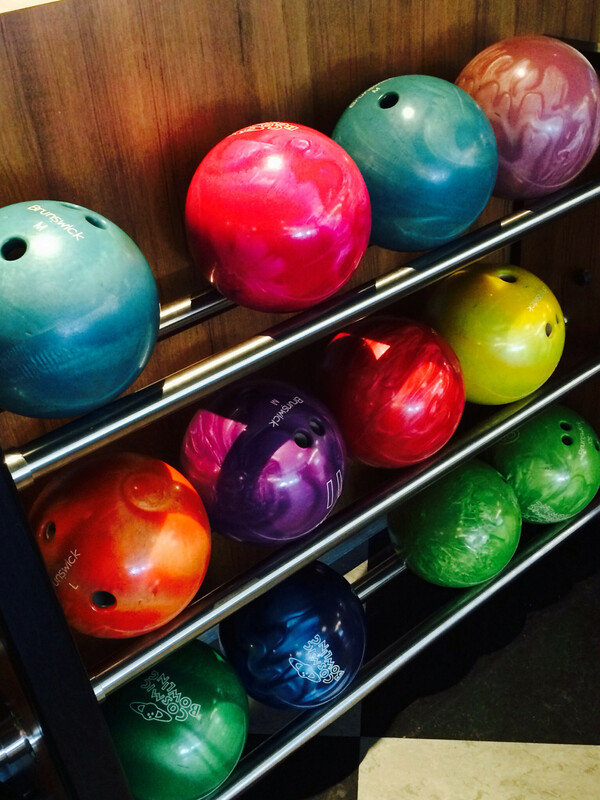 Love the bowling alley! The dining alone would have been enough for me! Looks amazing! WOW! I love the vibrant color themes! Looks like you had a ton of fun! That looks like one awesome hotel! Two of my writers lives in Orlando, so I’ll have to tell them about this one! the 50’s and 60’s are two of my favorite decades and I’d love to stay here! The retro touches are so cool! OMG, That place looks amazing! I must stay there so bright and fun. Wow, that place is very unique. I am light sensitive though so not so sure how I can handle all those bright colors. What wonderful bright colours. I love your room, I can’t see how anyone could be miserable there! Wow! The ability to get into Wizarding World of Harry Potter early is worth it alone! Love that! This looks really nice after months of staying in hostels. The pool looks amazing! I am excited to take my son to Universal. We have only been to Disney so far. This sounds like a great place to stay. A very bright and vibrant room. Nice.